Andy Council didn’t have to look far for the inspiration for his most famous mural - the Bristol Dinosaur. He used the architectural landmarks of the city to build up the beast and it was so popular he’s been asked to create similar murals around the world. Born in Bath, he moved to Bristol after graduating in an animation course at Bournemouth Art College. 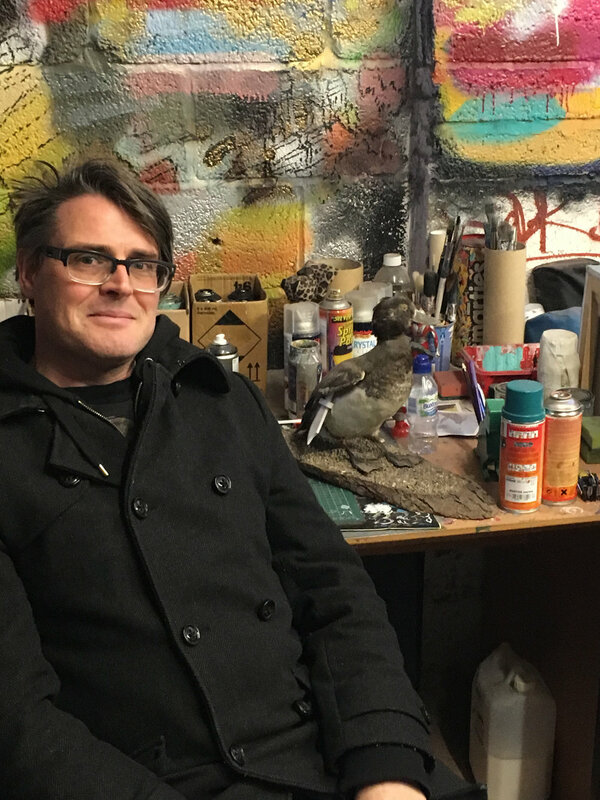 Before long, Andy found himself immersed in the Bristol graffiti scene and learning his trade with spray paints while working as an illustrator. The inspiration for his city beast creations came after he was commissioned to build a monster made out of rubbish. He took the principles of constructing a creature made out of different elements to the city of Bristol and came up with the Bristol Dinosaur. Since then he’s recreated the dinosaur in cities across the world and has created other monsters using the same principles. He’s created Longma (£50 plus £5 p&p) exclusively for Bristol24/7 - it was inspired by Bristol and the “golden colours of autumn, which was when I painted the piece”. “The shape of the creature happened to turn out like a sort of dragon horse, similar to a creature from Chinese mythology, the Longma.